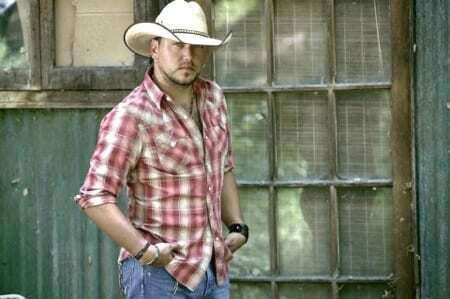 Jason Aldean's songs offer a realistic snapshot of small-town life and backwoods parties. Like The Tennessean’s Peter Cooper, I grow weary of all the dirt-road redneck songs bombarding radio airwaves. These “I’m-so-country” anthems are hardly the most original songs Nashville’s talented tunesmiths are capable of writing. In fact, plenty of these tracks are downright trite. But it doesn’t mean that the songwriters who pen them, and the artists who deliver them, haven’t lived those experiences. Talented music writer Cooper is usually spot-on with his analysis, but I have to offer an alternative viewpoint to his latest column. Just like him, I spent summer evenings pulled into a stall at Sonic, but I also spent plenty of nights driving back country roads and partying in an open field. Most of the usual party spots could only be reached by four-wheel drive. There was the field outside the city limits where songwriter Channing Wilson held court with his guitar. There was the stop on Rocky Lane in the Pigeon Mountain state park where we’d congregate at the “first pull off on the left.” And there was property in rural Harrisburg, 30 minutes outside of town, where cars were abandoned on the highway so their drivers could hop into the back of pick-ups for a bumpy trek to an old cabin for a night of keg beer, and blaring country music sing-alongs. Just like a muddy cliche, we slept in tents and truck-beds. In my hometown LaFayette, Georgia (pop. 7000), these were the Saturday night options. The nearest movie theater was a half-hour away, and the closest decent restaurant was almost an hour’s drive. Daytime entertainment was found “muddin’” in Jeep Wranglers after a heavy Saturday rain, and fishin’ with our dads after church on Sunday. Even though I don’t know much about cane poles, and I’d never heard of channel cat until Easton Corbin came along, this was our reality, and it was a good one, even if it involved mud tires and camouflage. Just like many artists, songwriters and others on Music Row who grew up in small towns, I’ve had a good amount of redneck training. For some, it is a source of pride. Others, like myself, get bored with the backwoods cliches. Either way, when songwriters like the aforementioned Wilson—who recently inked with EMI Music Publishing—sit in a cozy room on 16th Ave. and write a song, often it is based on real-life experiences. And when an artist makes it a hit, sometimes it is coming from an authentic place.